Wrinkles. Dark spots. Uneven skin tone. Stubborn acne. 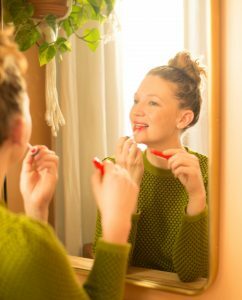 These are all common skincare concerns that retinol can address. Retinol is a vitamin A derivative and part of the powerful retinoid family proven to effectively improve skin. It not only prevents aging, but can reverse signs of it. Yet not everyone is a fan. The Environmental Working Group (EWG) gives the ingredient a 9 in its Skindeep Database, meaning they think it presents a high hazard to human health. On the other hand, Credo Beauty, a popular clean beauty retailer that maintains strict ingredient standards, does sell products with retinol. Retinol not only prevents aging, but can reverse signs of it. Determined to find out whether or not I could responsibly use retinol, I spoke with experts from Credo and EWG, as well as a dermatologist. My takeaway: retinol comes with some side effects, but you can take precautions to minimize the potential harm. Precautions include using it at night as directed on the label of the product, avoiding use in direct sunlight, and talking to a dermatologist. If you’re intrigued by the powerful yet controversial ingredient, here’s a breakdown of everything I learned. Retinol falls into a category of vitamin A derivatives known as retinoids. “Retinol is probably one of the best over-the-counter ingredients to counteract aging skin,” Dr. Jerome Potozkin, a dermatologist and author of Botox and Beyond: Your Guide to Safe, Nonsurgical, Cosmetic Procedures, told me. Other retinoids may show up on ingredients lists as retinoic acid, retinyl palmitate, retinyl acetate, and retinyl linoleate. These have varying level of potency. You may find retinol in sunscreens, anti-aging creams, and topical acne treatments. Since retinol and other retinoids can potentially heighten sun sensitivy, it is safest to only use them at night and to avoid them in products you would use during the day, like sunscreen. More on that below. As mentioned, retinol and other retinoids come from vitamin A, which is a nutrient that helps drive cell turnover. Studies show that when applied topically, retinoids can increase collagen production and decrease collagen breakdown. By accelerating skin renewal, it can reduce the appearance of wrinkles and age spots and even out skin tone. It can also make your skin resistant to new wrinkles. It dissolves oil and makes pores tighter and smoother, helping to keep them unclogged. Dr. Potozkin believes that retinol is great to incorporate into a daily skincare regimen. “I usually recommend it as an anti-aging ingredient and for some patients with mild acne,” he explained. Retinol is a weaker, over-the-counter retinoid. Tretinoin is a stronger, prescription retinoid. (Retin-A is a brand name for tretinoin, but there are also generics.) Prescription-strength retinoids contain retinoic acid as the active ingredient. Retinol is a precursor of retinoic acid and has to go through two steps after application before it becomes retinoic acid. This makes the prescription version more effective for treating wrinkles and acne in a shorter amount of time, but it can also come with more side effects. You can typically get similar results with retinol; it just may take longer. Carla Burns, a research analyst for EWG, says that in general, EWG recommends avoiding skincare products containing vitamin A, often labeled as retinol or retinyl palmitate, retinyl acetate, retinyl linoleate, and retinoic acid. “Vitamin A is an essential nutrient and found in many foods we eat; however, at EWG we looked more closely at its use in sunscreens and cosmetics and found it is not necessarily safe for use on skin,” she told me. Here are some of the risks EWG is concerned about. Skin cancer: Research has linked retinoids to an increased risk of skin cancer when used on sun-exposed skin. Unfortunately, cosmetic companies have added the ingredient to plenty of products meant for daytime use — including sunscreen. A government study from 2012 found that mice who were exposed to creams containing retinyl palmitate or retinoic acid had more tumors and an earlier onset of tumors than mice who were exposed to a cream that did not have these ingredients. You should always avoid going into sunlight while you have a retinoid on your skin. EWG recommends that consumers avoid sunscreens and other daytime cosmetics that contain vitamin A. You can check their Skindeep Database to find out if your products include these. If you’re using a night cream with retinoids you can decrease your risk by wearing sunscreen during the day. And you should always avoid going into sunlight while you have a retinoid on your skin. BHT and Paraben Exposure: Conventional retinoids are often stabilized with BHT or parabens, ingredients linked to serious harm like cancer and reproductive issues. These can make it into the final product, but you wouldn’t know it from the ingredient label. 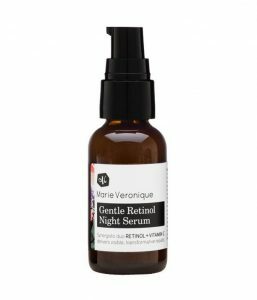 Retinol products sold at Credo, like this serum, undergo strict ingredient checks. Purchasing products through clean beauty retailers like Credo can help minimize the exposure. Michelle Connelly, Credo’s director of merchandising and planning, told me that brands sold at Credo must ensure that all ingredients are compliant with their standards, including trace ingredients used during processing that might not show up on an ingredient list. “BHT is on our dirty list, and we request that brands obtain spec sheets from all of their suppliers and have the documentation readily available,” she explained. Currently, Credo sells two products containing synthetic retinol, including Marie Veronique Gentle Retinol Night Serum and MARA Evening Primrose + Green Tea Algae Retinol Oil. These meet their standards. Problems for Pregnant Women, Children, and Older People: Although there is room for more research, some studies show greater health risks for pregnant women, children, and older women who use retinoids. “If you have too much pre-formed vitamin A in your body it can cause health problems, including liver damage, hair loss, and osteoporosis, and hip fractures in older adults,” Burns told me. She says authoritative health bodies have cautioned women who are pregnant to avoid cosmetic products with vitamin A since excessive vitamin A may cause increased risk of birth defects in a developing fetus. “Children can also suffer a variety of harmful effects from too much vitamin A and young children have increased skin sensitivity and are more vulnerable to sun damage,” she added. While Dr. Potozkin recommends daily sunscreen application, he is less concerned about retinol than Burns. Still, he said it’s best to avoid retinoids while pregnant. “I advise patients to avoid retinol while pregnant as it has not been studied in pregnant women,” he said. Dryness and Irritation: “The most common side effects of retinol are dryness and irritation,” Dr. Potozkin explained, adding: “For many people this will diminish over a couple of weeks. Some people need to use a moisturizer along with retinol.” The flaky skin phenomenon has a cutesy and cringey nickname: the “retinoid uglies.” In addition to using a moisturizer, you can minimize it by applying retinol to dry skin and only every three nights during the first few weeks. Connelly told me that Credo includes retinol on their “Ingredients You Might Be Wondering About” section of their Dirty List, since it has a reputation for being potentially irritating. “However, we believe that generally it is fine for night time use, assuming you use an SPF during the day,” she continued. Products with bakuchiol have been shown to have similar results without the side effects. For people who would rather avoid all potential side effects of retinol, there are various “natural” alternatives out there, including rosehip oil, moringa oil, mango butter, Spanish needle, sea fennel, and more. While these can often brighten and protect your skin, they’re not as effective as retinoids at reducing existing signs of aging. But! There is one natural ingredient that proves promising in clinical studies: bakuchiol. One study found that after 12 weeks of treatment there was significant improvement in lines and wrinkles, pigmentation, elasticity, firmness, and overall reduction in photo-damage, without the usual retinol therapy-associated undesirable effects. Connelly told me Credo expects bakuchiol to become increasingly popular and already has plans to stock new products from their existing vendors. 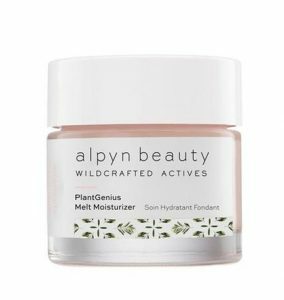 Currently, Credo sells Alpyn PlantGenius Melt Moisturizer, which includes bakuchiol. It’s up to each person to decide if the powerful qualities of retinol and other retinoids are worth the risks. If you decide retinol is for you, be sure to consider the safest way to use it. “Consumers undergoing skin treatments for medical purposes with any form of vitamin A should consult a dermatologist, apply treatments at night if possible, and always practice strict sun avoidance when using these powerful ingredients on their skin,” is how Burns summed it up for me. You can’t argue with that.